Designed for high temperature masking applications, the tapes' special non-staining adhesive insures high adhesion and clean stripping. 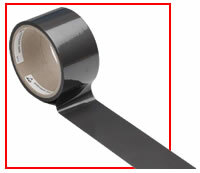 The thickness of the tape ensures excellent conformability on curves and irregular objects. Non-stock sizes are available upon request. Adhesion to Steel 35 oz./in. 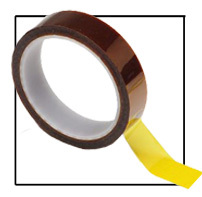 1 Mil anti-static treated polyimide film with pressure sensitive 1.5 mil silicone adhesive. Withstands temperatures up to 500°F (260° C). Designed to minimize the effect of static during stripping and peeling. Offers optimal performance in electrical and thermal insulation. Mask for printed circuit boards. Highly resistant to heat and chemicals. Thin and highly conformable. Puncture and tear resistant at high temperatures. Statements, technical information and recommendations contained herein are based on tests we believe to be reliable but they are not to be construed in any manner as warranties expressed or implied. the user shall determine the suitability of the product for his intended use and user assumes all risk and liability whatsoever in connection therewith. The Dark Gray High Temperature Series is an anti static tape, made of Polyester film, coated with a surface conductive adhesive. 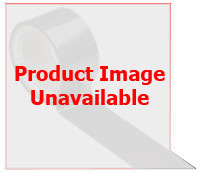 This tape is used for masking of printed circuit boards during conformal coating, amongst other applications. It leaves no adhesive residue after removal. 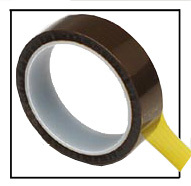 Electrical Resistance (Adhesive) 50000-100000 ohms/cm. Standard Roll Width† ¼", ½", ¾", 1" & 2"
†Other widths available upon request. 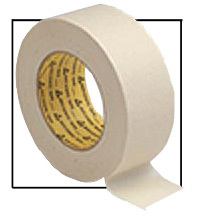 7.6 Mil crepe paper tape with rubber adhesive withstands temperatures up to 300° F (220° C). Extremely high tack and adheres strongly to metal. Offers fine line definition without bleeding. Offers clean removal without adhesive residue.